Yamaha have unveiled the new X-Max 400, set for release in autumn 2017, which the firm says has better comfort, performance and practicality than ever before. 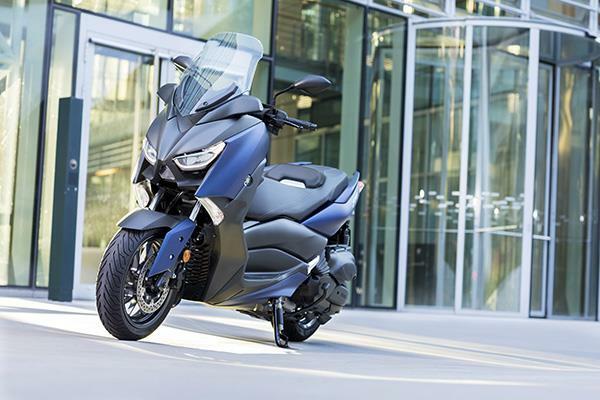 The 400cc liquid-cooled single cylinder engine is now Euro4 compliant and produces 33bhp and 26ftlb of torque, meaning its suitable for riders on an A2 licence. 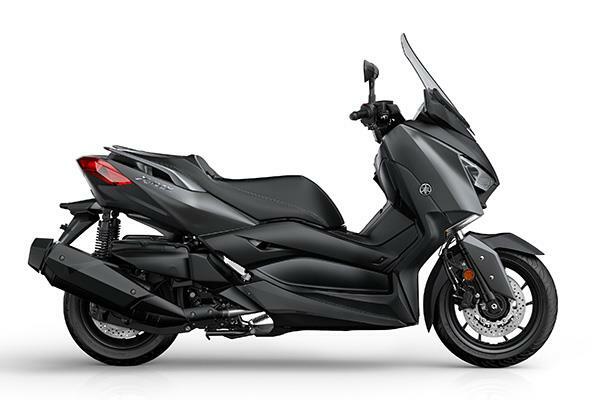 To help the new scoot feel zippier it now weighs 210kg - 5kg less than the previous model. 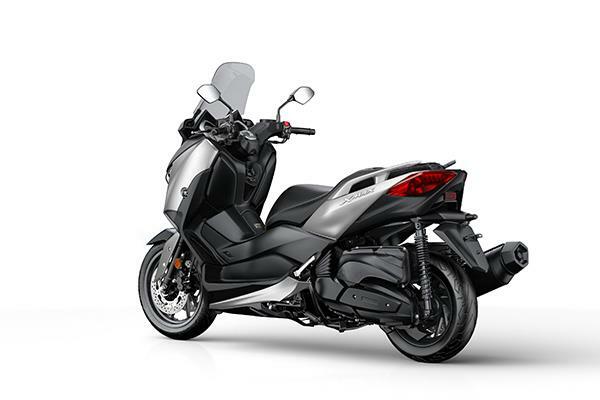 Traction control comes as standard for the first time on the X-Max 400, as does ABS. 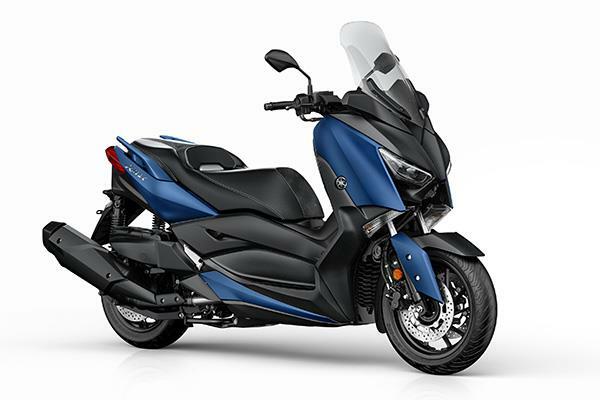 Yamaha say the new 400 is the most compact sport scooter in its class, with an overall length of 2,185mm, but if you find it a little cramped the position of the handlebars is adjustable two two positions, as is the screen. Like most scooters the 400 features a parking brake so you can park on uneven surface without fear of the scooter rolling off its stand, and underseat storage big enough for two full face helmets. For added practicality there's a 12V socket so you can charge your electronic device while on the move. 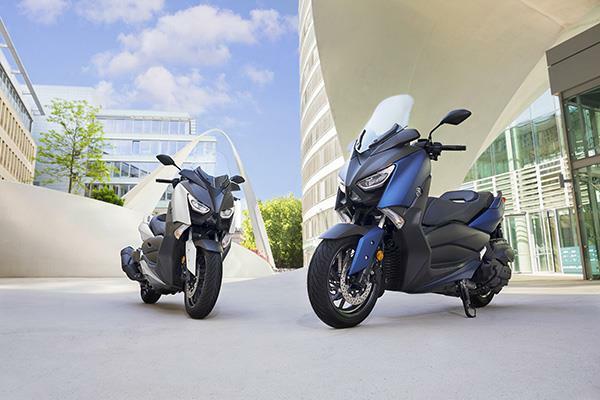 Styling has been updated to bring the 400 inline with the new X-Max 300 and T-Max models and the new bike also uses a smart key.